Edgar Rice Burroughs had still to publish his first novel when Tarzan of the Apes came out as a serial in The All-Story magazine in 1912. The novel was published in 1914 and became a best-seller. 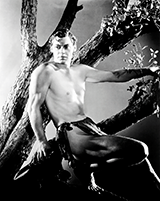 The original silent film versions of the novel were released in 1918 as Tarzan of the Apes and The Romance of Tarzan and distributed by First National. 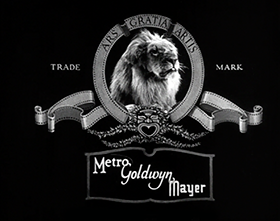 The MGM adaptation was completed by Cyril Hume who had written the dialogue for Trader Horn (1931), the first non-documentary feature shot on-location in Africa. Ivory hunters come across a human 'ape man' who abducts the only woman in the party. Johnny Weissmuller and Maureen O'Sullivan star in the seminal picture of this series. On-location stock footage from W.S. Van Dyke's previous directorial effort, Trader Horn (1931) was used extensively in this film.